Cultivation: This is an easily grown cactus, suited to hanging baskets as well as pots. 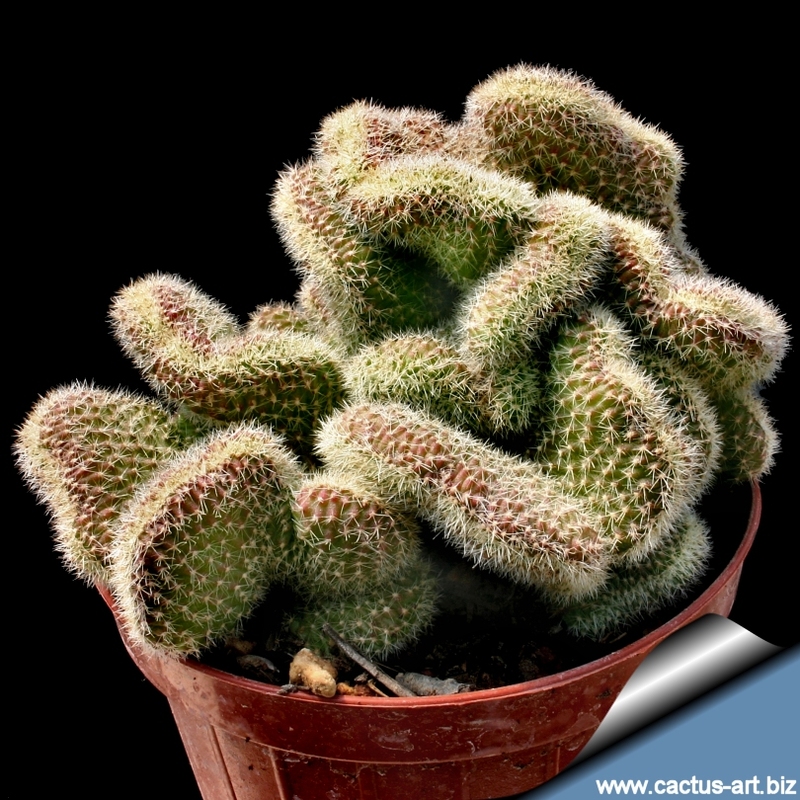 Grow in well-drained soil in a sunny spot. 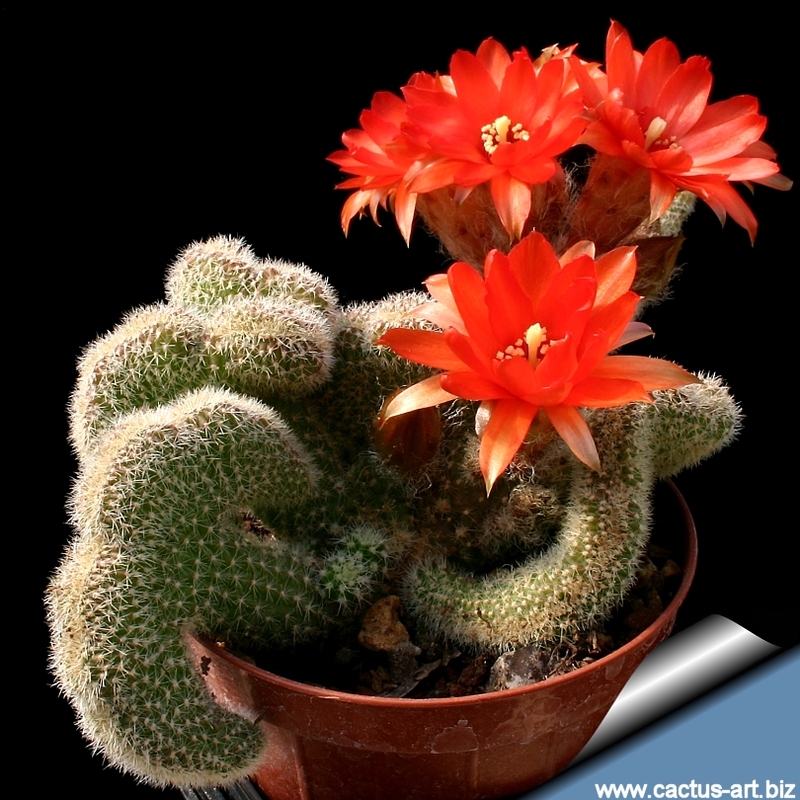 This Echinopsis needs a period of cool rest in winter to produce flowers abundantly. It flowers freely indoors if conditions suit it. The plant survives outside without protection in winter (cold hardy to -8° ) but somewhat prone to rot, then, too. Needs moderate water in summer, none in winter. Watch for infestations of mealybug, scale insects and spider mite. Propagation: Easy to propagate from offsets. 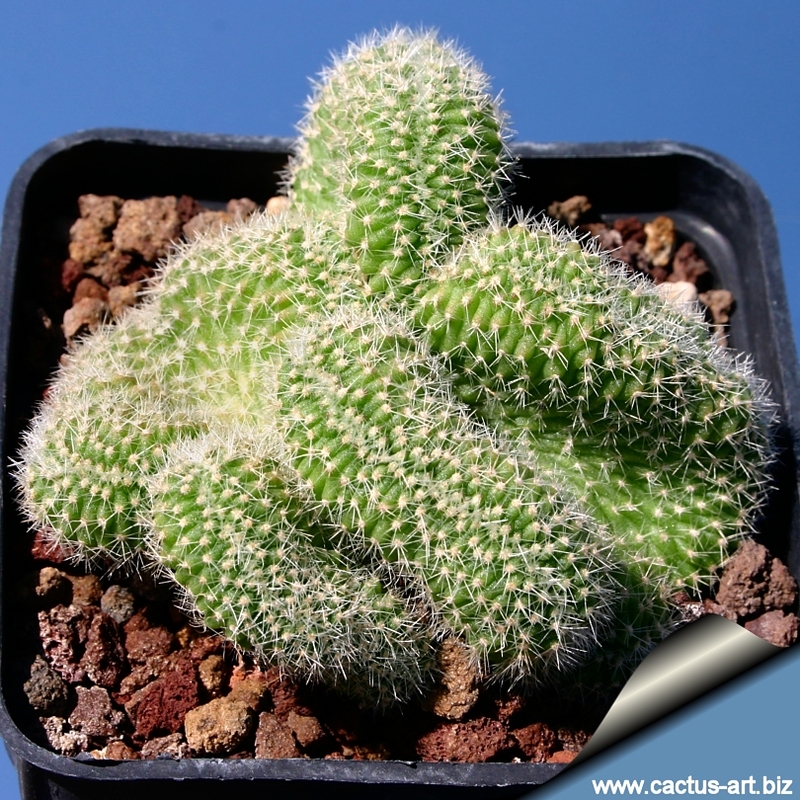 The offsets can be detached and planted immediately as they root easily with no assistance when they touch the ground. Just let them lay on the soil and you have a new start.